On January 23, 1974, people reported hearing a huge bang, felt earth tremors and saw a brilliant light in the sky above the Berwyn Mountains. Families in the villages of Llandderfel and Llandrillo were settling down to watch TV when an explosion was heard and the ground shook. It measured 3.5 on the Richter scale. As people ran from their homes fearing another tremor, they saw a blaze of light on the mountainside. A nurse who believed an aircraft had crashed drove to the site and saw a pulsating orange and red glow on the hillside and other lights. Police converged on the area and emergency services were put on standby. Although searches were undertaken, officially nothing was found – leading to claims of a cover-up. In the four decades since there has been a huge debate as to what exactly happened that night, with TV documentaries made and books written on the subject. Some researchers have claimed a UFO crashed, with further claims “bodies” were retrieved and taken away by soldiers. 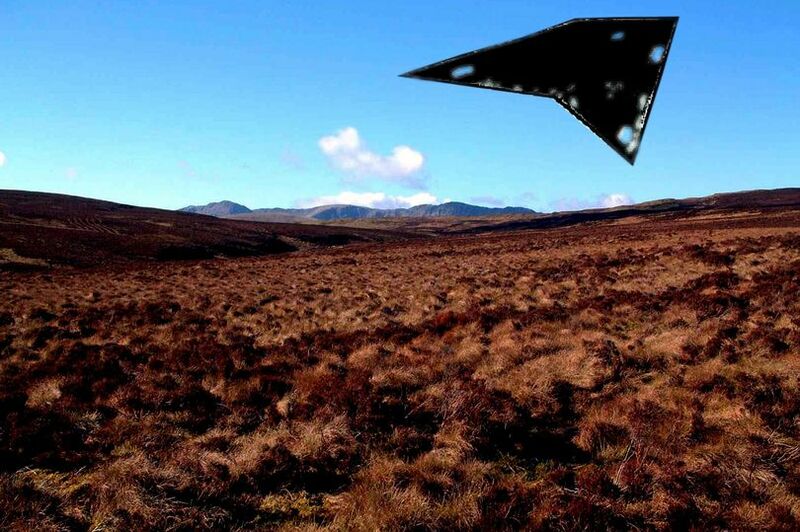 Other theories suggest it was a meteor shower combined with an earthquake – the epicentre of which was at Bala Lake – and the misperception of poachers on the hillside carrying lamps. Over the years more information has surfaced which has added to the enigma. In 2008 the Daily Post acquired official documents showing how Gwynedd Police were bombarded with calls and eye witness accounts of the strange event, with some convinced they had seen a UFO. They gave a fascinating insight into what was going on that night. Gwynedd Police Constabulary Major Incident Log – explosion – 21.10pm PC receiving 999 calls of UFO. Telex message to chief constable Gwynedd constabulary. 22.00pm approx 23/1/74: Saw bright green lights, object with tail – travelling west. Saw about Bangor direction – dropped down. At approx 10pm on 23/1/74: Saw a circular light in the sky at an estimated height of 1,500 feet. This object exploded and pieces fell to the ground. Mr …… estimates the pieces would have fallen into the sea between Rhyl and Liverpool. Ms Evans, who was living in Llandderfel, near Bala, added: “We just saw this huge ball glowing and pulsating on the mountain. Some lights seemed to be scattered around it and I just wish we’d stayed to see what the end result was – whether it would just disappear or fly away. “We didn’t see anybody on the road even though there were various reports that we were told to go away by armed police and military etc, which was all totally untrue. A document from the Maritime and Coastguard Agency revealed a military operation, codenamed Photoflash, was scheduled for that evening. It involved about 10 military aircraft and a series of powerful flashes across the North Wales coast and Liverpool Bay. There was no more information from official sources on that specific exercise and if it was connected to Berwyn. A spokesman at the RAF Museum Research Department suggested photoflash operations were used for training exercises to illuminate the ground below.